Who’s cheesed off with the sanctimonious Swiss? Never knowingly undersold when it comes to hiding their self-serving duplicity beneath a cloak of wholesome neutrality, the Swiss are proving somewhat reluctant on the issue of imposing full sanctions on what many fear is nuclear, hell-bent Iran. While it’s true the good Alpine burghers have frozen the assets of eight Iranian firms and three individuals, for some unaccountably cheesy reason they are proving obdurate about joining the Free World in taking action against the ayatollahs’ moolah pile, Iran’s central bank. Despite this being the key to Teheran’s economy and the cash cow behind the march to much-rumoured weapons of mass destruction (WMD), the notoriously secretive Swiss say they will reconsider what to do about this, er, glitch ‘at a later date’. 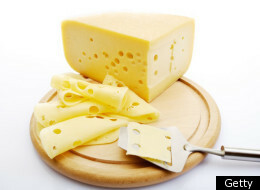 SWISS EXCUSES: Full of holes, like their cheese? But could this financial foot-dragging be linked to other ‘Sod you, Jurgen, I’m all right’ considerations, like the fact that Switzerland imports Iranian oil – albeit indirectly – and its energy giant, Elektrizitatsgesellschaft Laufenburg, is reportedly involved in a pipeline project to transport fuel from Iran, via Turkey? And, for that matter, that the said, same conglomerate has a contract to bring in more than five billion cubic metres of Iranian gas, valued at 18 million euros? Ergo, if you thought the sanctimonious Swiss shilly-shallying over imposing sanctions against Iran’s premier bank is like their cheese – full of holes – could anyone blame you?